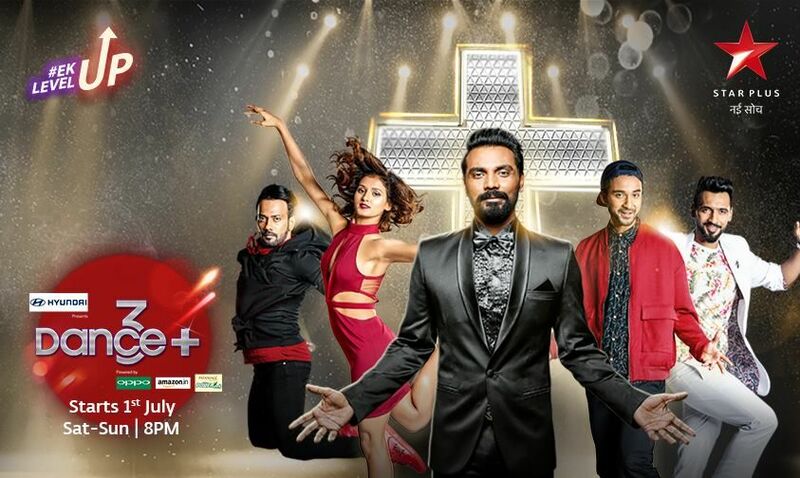 leading hindi general entertainment channel star plus announced the launch of dance plus 3. this hindi dance reality show completed 2 successful seasons. dance +3 will star on 1st july 2017 and air every saturday and sunday at 8.00 p.m. Remo D’Souza was the Super Judge of the show for the last 2 season and he will expect to continue with the show. star plus done auditions for the show and selected talented contestants, we will update those names soon here. D of team Dharmesh was the winner of dance plus two. Dance +3 will start every saturday and sunday at 8.00 p.m, this is a 1 hour show. star plus have started another show named aarambh. Shakti Mohan, Dharmesh Yelande, Punit J Pathak are the mentors of the show. repeat telecast will be on 11.30 p.m to 12.30 (same day) and 7.30 A.M to 8.30 (next day). all the episodes of dance 3 plus can be watch through hotstar application. Dance +3 Auditions were conducted across several cities of India and they have selected contestants for the next season. star plus is leading in hindi channel trp ratings. wait here for the contestants details, profile, images etc. we will update those details very soon.